The other day we had a few people over to the house for brunch. And by a few, I mean 50. If you're gonna make breakfast, you might as well make enough for a crowd, right? ...And did I mention Bloody Marys? My fabulous daughter-in-law, Ashley, has wonderful friends and sisters who served as hostesses. They came in a couple of hours before the shower began to cook and decorate. 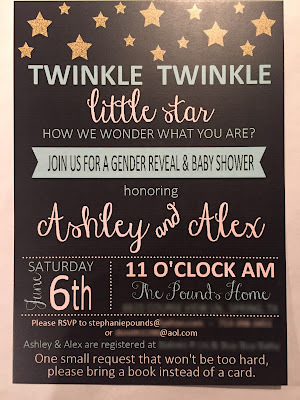 The theme was Twinkle, Twinkle Little Star, and it started with these cute invites. So we decorated with stars everywhere. But wait what's that on top of the book shelf? 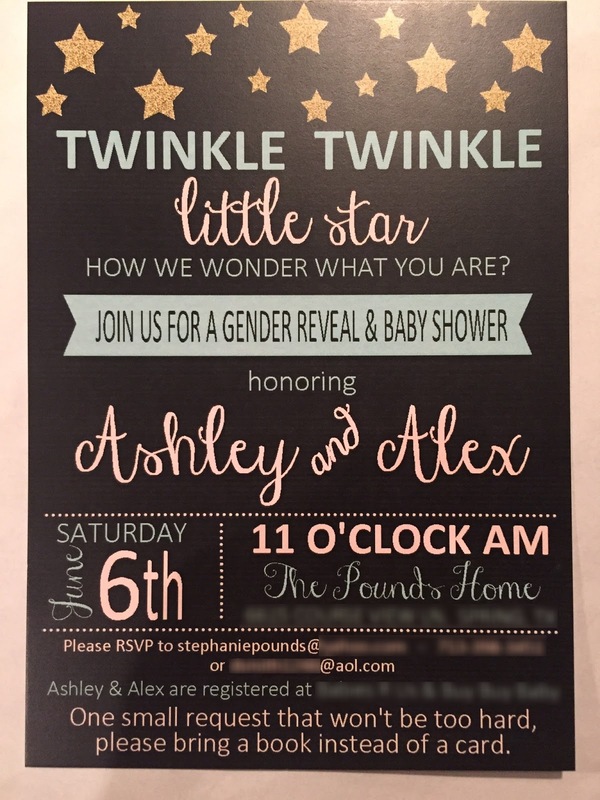 Right next to the baby pictures of the new mom and dad and the sonogram? But, Stephanie, you ask, what's with the 28? 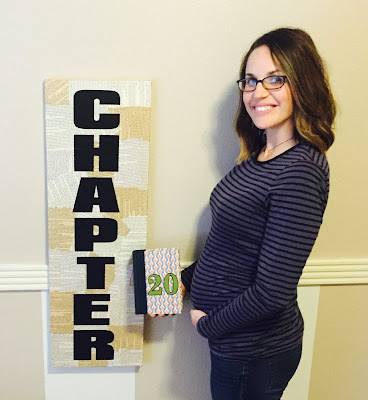 And now we are at week 28! Wait...Week 28? That means the baby will be here before we know it! Happy dance! Happy dance! I think what I found most interesting was how the spying seemed less like a James Bond action-adventure kind of job, and more like a Nick Charles witty repartee kind of job. Macintyre's description of Istanbul after WWI, where all the spies from all the sides seemed to know each other and dined and drank in the same restaurants, was especially vivid. Everybody was seemingly watching everyone else and writing home about it in encrypted letters. 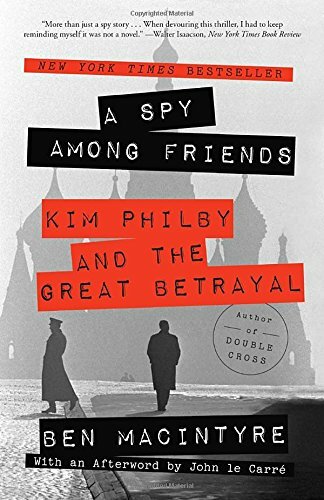 This book really held my attention from beginning to end, which, by the way, includes a fascinating postscript from John LeCarre who worked in British intelligence at the same time as Philby. A fascinating book made all the more tantalizing by the fact that it's all true.